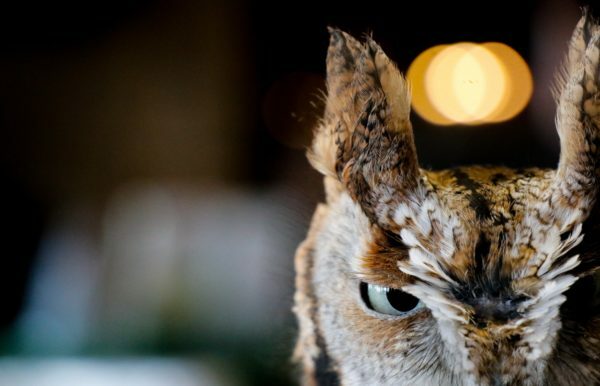 Steve Hager, Professor in Biology-Augustana College will lead an after-dark owl hike at Illinois Audubon Society’s Gremel Wildlife Sanctuary. The hike, beginning at the Augustana Green Wing Lodge (Amboy), will take us into the sanctuary in search of Saw-whet, Eastern Screech, Barred, and Great-horned Owls. We may also see flying squirrels and hear coyotes. Expect to walk about 1.5 miles in the darkness. The outdoor portion of the trip will last approximately 2 hours. Cost includes light refreshments after the hike. Date: December 7, 2019 Time: 6:00 p.m. to 9:30 p.m.